The international US-led coalition against the Daesh terrorist group is further interacting with the remaining terrorists in Syria, according to the Russian Center for reconciliation of opposing sides in Syria. According to local residents, the US-led coalition has been using the Syrian Al Hasakah refugee camp as a base for training militants coming there from various areas of Syria for more than half of the year, the Russian Center for reconciliation says. Under the supervision of the US instructors from Special Operations Forces, new armed groups called the "New Syrian Army" are being forged, the defense ministry reports. According to refugees, the US instructors announced that after the end of the training course the groups will be sent to southern Syria to fight against the Syrian government troops. Most of these militants come from Daesh and Nusra Front terrorist groups and currently around 750 fighters from Raqqa, Deir-ez-Zor, Abu Kamal and the eastern territories of the Euphrates are concentrated in the refugee camp area, according to the statement of Russia's Defense Ministry citing the refugees. 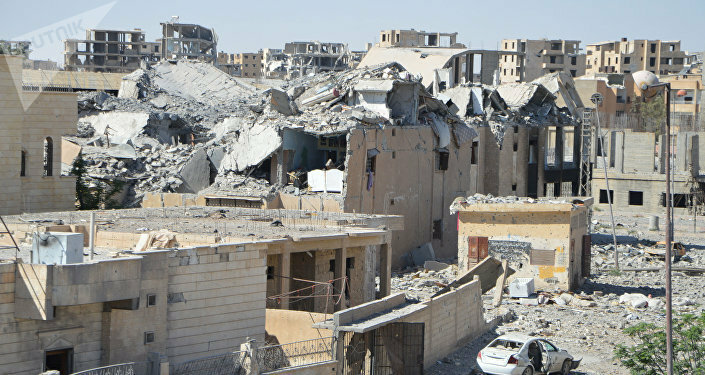 The core of the group at the camp is made of 400 Daesh militants, who left Syria's city of Raqqa in October 2017 with the help of the United States. The US has repeatedly reiterated its commitment to countering terrorism, with President Donald Trump on Tuesday declaring victory over Daesh in Syria and Iraq. However, this is not the first case when the US-led coalition has been spotted interacting with terrorists; in the beginning of November, Russia accused the US of establishing a training camp for militants near Rukban to create a new 'moderate opposition', calling Washington's move "a war crime," since it prevented the Syrian government from setting up a safe corridor for the delivery of humanitarian supplies to refugees. The US-led coalition has been conducting airstrikes against Daesh in Syria and Iraq since 2014. According to the Defense Manpower Data Center's recent quarterly report, there were 1,720 US troops in Syria, three times as many as previously reported.